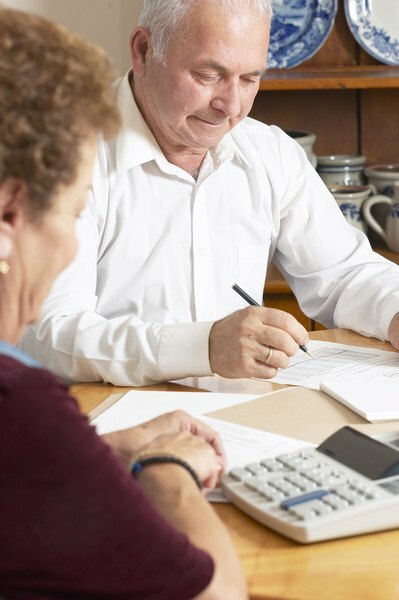 When deciding when to retire, combine your own and your spouse's SSA benefits. 1. Is There a Cap on Two-Earner Social Security Retirement Benefits? Your Social Security benefit at retirement is based on your years of work and earnings, and an individual must generally have 40 credits – or four quarters of earnings over 10 years – to qualify. However, a nonworking spouse can receive benefits based on a working spouse's earnings. Whether you and your spouse take benefits based on each of your own earnings, or one spouse takes benefits based on the other spouse's earnings, both spouses can most definitely receive Social Security checks at the same time. Both spouses can receive Social Security retirement benefits. Eligibility and the amount of benefits received will depend on each individual's earnings and years of work. To determine an individual's Social Security benefit, the Social Security Administration starts with the primary insurance amount, or the amount you would be eligible to receive at full retirement age. The calculation is based on your 35 highest-earning years, indexed for inflation. As long as you continue to work, your PIA will change, up to age 70. Your benefit will be permanently reduced if you take it early, which could be as soon as age 62, or increased if you put off taking it, but again, increases stop at age 70. If your spouse didn't earn enough credits to qualify for her own Social Security benefit, she can receive one-half of your benefit based on your PIA. Spousal benefits can begin as early as age 62, but that one-half of your benefit will be permanently reduced based on the assumption that benefits would be paid out over a longer time. If you die, your surviving spouse who was receiving half of your benefit will begin receiving your full benefit, but her own benefits will then end. In other words, the surviving spouse will receive approximately two-thirds of what both spouses were receiving together. A spouse who qualifies for Social Security benefits based on her own record has more options. She can receive benefits based on her own record or on your record, whichever is greater. If she continues to work past her full retirement age, she can choose to take one-half of your benefit and continue to earn credits based on her own record. She can then take her own benefit, if it's greater, when she stops working. If you and your spouse are divorced but you were married for at least 10 years, your former spouse will essentially have the same options as she would if you were still married. That is, she can receive one-half the benefit she would receive based on your record if it is greater than what she would qualify for on her own. She can also take the spousal benefit and delay taking her own benefit. To be eligible for benefits based on your record, your former spouse must not be married, but whether you're remarried has no effect. Payments to a former spouse – or a current spouse – do not reduce your own benefit. Social Security Administration: How Do You Qualify for Benefits?